New England Aquarium coral biologist Randi Rotjan, PhD, and aquarist Joe Masi are in Belize monitoring coral health near Carrie Bow Caye. Stay tuned for live updates about their research and animal encounters, and see pictures from previous expeditions here, here and here. Today's post comes from Randi. In this fast-paced, over-hurried world of email and cell phones and NOW NOW NOW, it is rare when an email graces your desk that just forces you to sit back for a moment, say “wow”, and re-read it. Last fall, I received just such an email. It was from a producer at the BBC about our hermit crab vacancy chain work (detailing how crabs switch shells in very quick succession). The producer explained that they are shooting a new film series and wanted to include a sequence on our work. Wow! The luggage of the BBC film crew – all for hermit crabs! 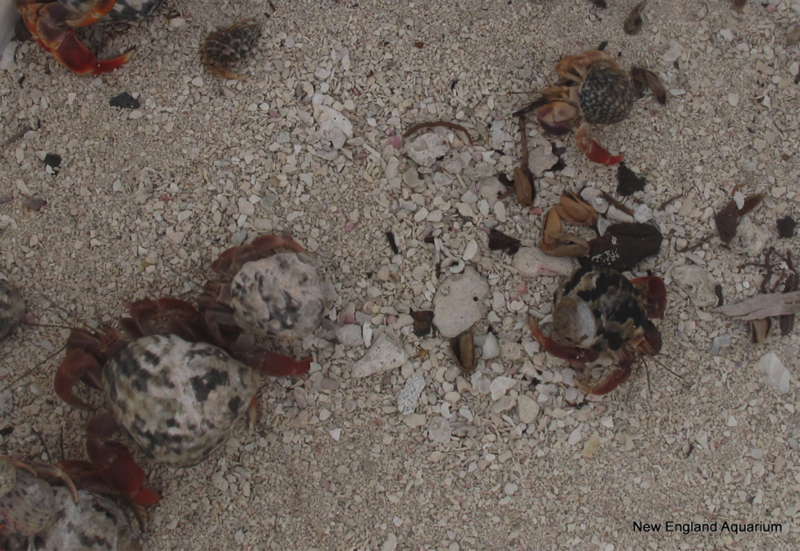 Fast forward a bit, and here we are—several months later—at Carrie Bow Caye (CBC) with the BBC, deep into filming these amazing hermit crab behaviors. 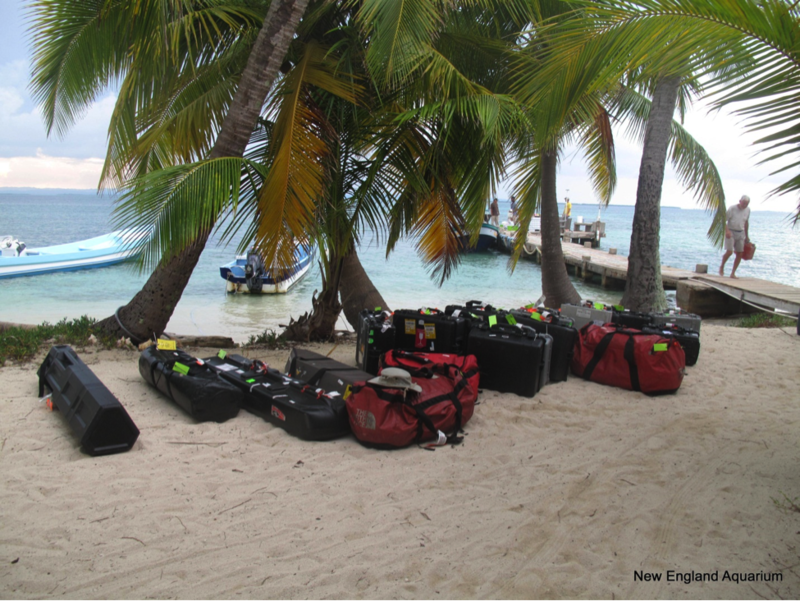 When we arrived on-island, my jaw dropped at the sheer amount of film gear they had transported. These hermit crabs were truly going to be movie stars! It’s been great fun so far – I’ve learned a ton about the film-making process, and have also had several new research insights thanks to the ability to see my study animals with better camera equipment than I ever could have imagined. Stay tuned—hermit crabs will be on the big screen (Discovery Channel and BBC) in about a year or so. I promise, the hermit crabs will be the stars of the show. 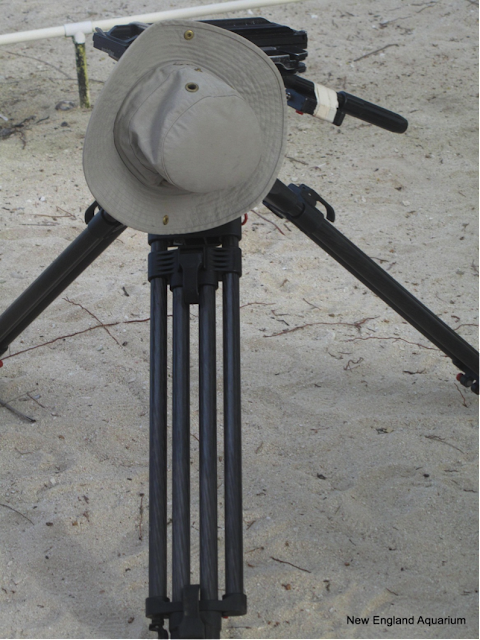 The producer’s hat, hanging on a tripod: I can’t give away too many of the BBC’s secrets, but this hat has certainly traveled the world. If only it could talk, oh the stories it would tell!! Belize 2013 | A sharky surprise!